Cruising Concepts features a line of custom yacht teak dining tables. 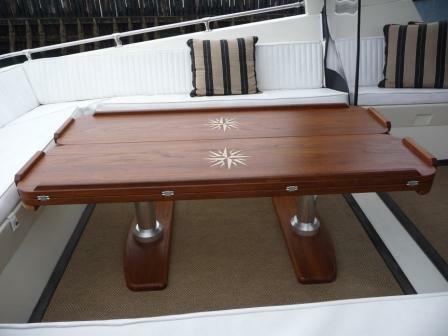 Each fine dining table for yachts is hand crafted from solid teak. Custom tables to fit your space! 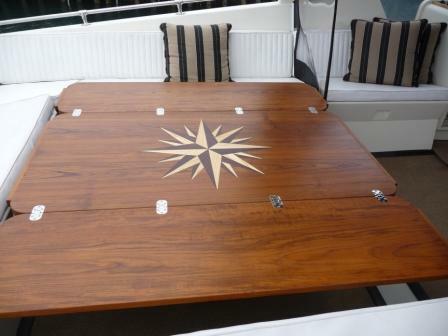 Call 800-899-3996 or 360-376-2975 and order the perfect teak dining table for fine dining on your boat! Our latest masterpiece is solid teak and 1.25″ x 54″ x 32″ with twin 10 inch inlays, twin pneumatic pedestals with teak feet and a central controls. Leaves fold 180 degrees–completely out of the way when not in use. For fine dining on a 58′ motor yacht. 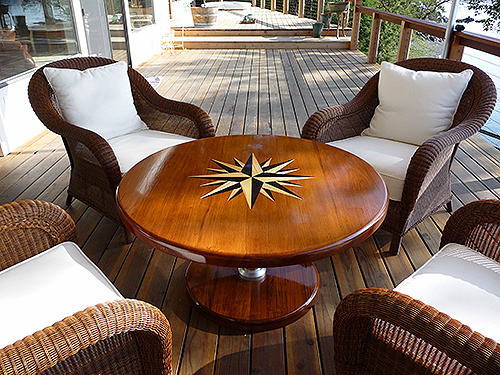 Round, and hand-crafted from 2″ solid teak, this four foot diameter table boasts a 2 foot compass rose inlay and is the perfect compliment to the deck of your yacht. 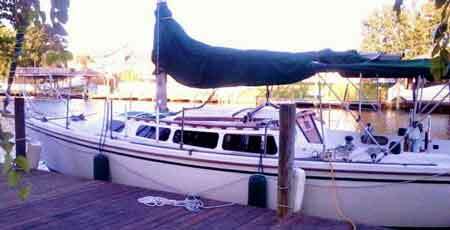 Open or shut, this beautiful, solid teak 60″ x 60″ was custom made and installed on a 68″ foot motor yacht. Twin pneumatic pedestals with teak feet and central control make it easy to adjust to your needs. 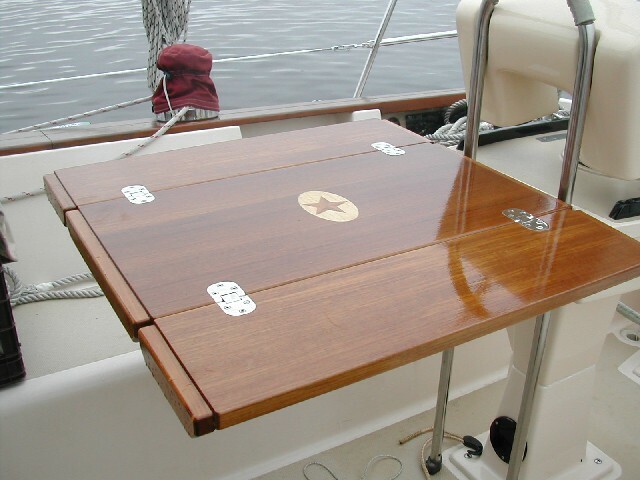 Three matching inlays, 2 – 8″ that are visible when the table is in the closed position, and a stunning 23″ inlay decorating the open position make this table the perfect addition to your dining experience on your boat.